As faithful covered call investors know, the only thing better than a stock that produces an income stream is a stock that produces TWO income streams (dividends plus call premium). A well diversified portfolio of blue chip, dividend paying stocks is generally a recipe for covered call success. Current S&P 500 dividend yield is about 1.9%, which is less than the typical 3% historical average over the last century. Many of the S&P 500 pay more than than 1.9% dividend yield, and we identify 10 of them that all pay over 3.6% (eg. AEP, ED, GPS, XOM, etc.). For the income oriented investor, these could be a good place to consider some covered calls. See our blog article on Dividend Capture With Covered Calls. StockBrokers.com is an independent broker comparison site. Ever wonder how the features and tools (or fees) of your broker compare to all the others? Are you using the best broker for your type of trading? Now there's an extremely in-depth review (308 unique variables) you can use (free) to compare: StockBrokers.com 2017 Online Broker Review. So, which broker is the best? Who wins in 2017? Go to the Best In Class section and look up what you care most about: Fees, Tools, Service, Options Trading, etc. Check it out. Born To Sell Wins 1st Place (3rd time)! 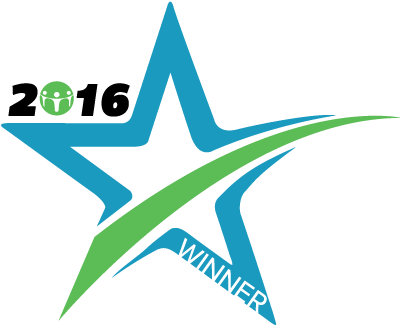 Born To Sell is proud to announce that we won the TraderPlanet award in the Trading Software:Options category! Our 3rd year with a 1st place finish. The winner was chosen by popular vote and announced in February. We appreciate everyone who turned out to vote for us. Thank you! You keep voting and we'll keep making great covered call software. We recently met Minesh Bhindi from Gold And Silver For Life at a finance conference. He has an interesting strategy: passive income on metals for 12% to 26% per year. His Cash Flow Gold And Silver strategy makes a lot of sense to us, and has a client success rate of 92%. We like Minesh and believe he has a winning strategy (hint: it includes covered calls). We recommend checking out his free webinar on how he does it. 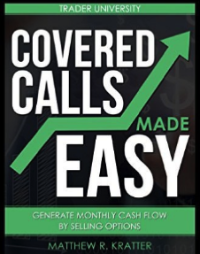 Author Matthew Kratter has written a book titled Covered Calls Made Easy, a good read on how to succeed with covered calls. As he says in the book, it's easy to make money with covered calls, but it requires easy to follow directions. Matthew picks one company, Coca Cola (KO), and shows the step-by-step criteria he uses to pick stocks. This is not highfalutin academia, nor is it one of those "I made a million dollars" claims without showing how it was done. Instead, it is solid practical advice on how to get started and maintain a covered call portfolio. Available in paperback or audio book at Amazon. Selling covered calls during a rising market sometimes gets a bad rap. And it is partially deserved. Yes, it can be sub-optimal to put a cap on your upside when stocks are booming. However, if you are writing short-term options, trading on margin, or trading around a news event (product or earnings announcement) then there is an argument to be made for increasing your downside protection and taking a potentially smaller gain. Or even if you just want to protect some of your unrealized gain. We examine six things to keep in mind when deciding to sell covered calls in a rising market or not. See our blog article on Selling Covered Calls In A Rising Market. This is less about covered calls but anyone who wires money across borders will be interested. We have recently discovered a new way to do wire transfers. It's super fast and super low cost, using blockchain technology instead of traditional wire transfer rails. Veem has no origination fee, no transfer fee, no receiving fee, and charges about 1/3rd of what our traditional bank charged for FX (foreign exchange) fee. The net result is that we send money way cheaper, way faster, and way easier (just need recipient's email, like Paypal) than before. It's free to sign up and you will be hooked after your first transfer: Veem wire transfer service. Paul Katzeff from Investors Business Daily says "Generating income in the current market environment has been a bit like a carnival game. 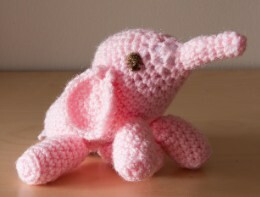 It can take a lot of effort and the prize may seem of little more value than a cheap stuffed pink elephant with uneven button eyes." As cute as that is, most investors would rather have increased yield. Paul recommends covered calls as one solution. See his article How To Generate Investment Income Despite Low Interest Rates.